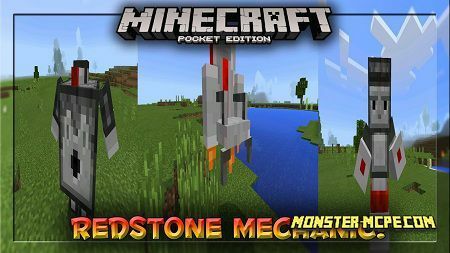 This addon gives you the opportunity to get your personal dragon and even fly on it! 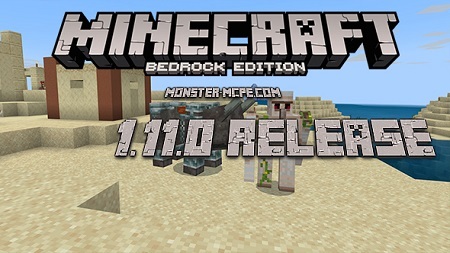 Also, this addon would be great for those players who like End Dragon. A new pet will not let you boring if it possible in this game in general! New addon, which is called Dragoncraft, adds more new dragons into the game. 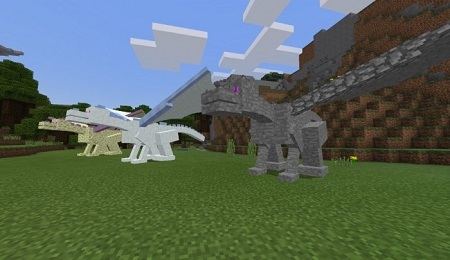 For now, here you can find six new dragons, each of them has its own personal and unique appearance. This creature can be tamed by the player. 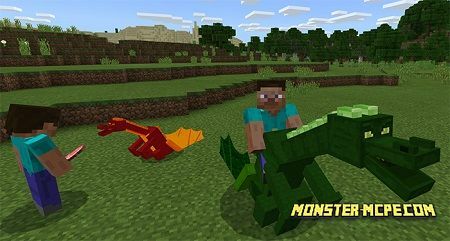 All the dragons are spawning in Minecraft world in different locations. That is why you can find them without any issues after you kill one of them, you will get a dragon egg, it will be only one. 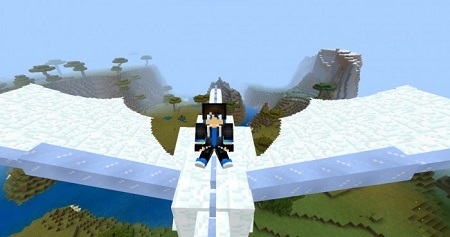 The player can use it in order to get his own dragon and even fly on it! 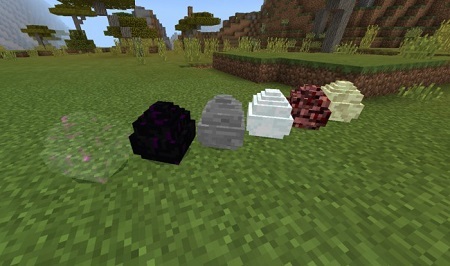 Also, if you want you can incubate eggs, all you need for this is give them one diamond. 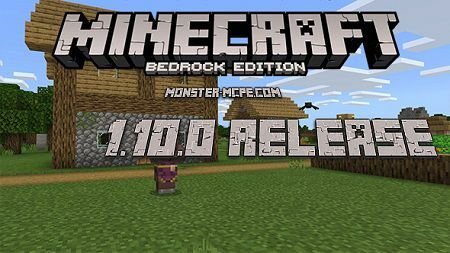 After you will give it, it will shake and you should be attentive and protect it from other hostile mobs. — HP — from 150 to 200. 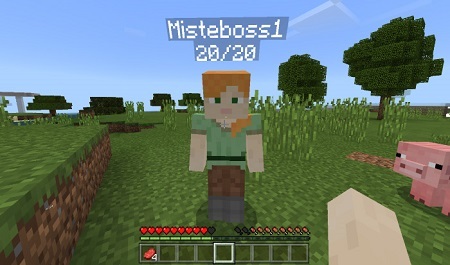 The player can add some additional armor in order to give him more protection! — The process of hatching from the egg can take about two minutes. 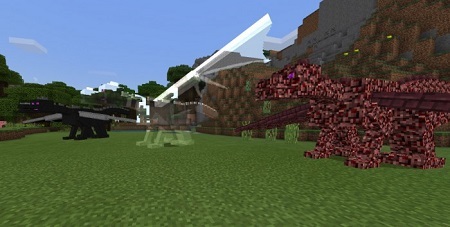 — Each player can tame a dragon and use it in order to fly on it. Give him a feather of chicken or just jump on it. — In order to speed up your dragon, use a cane with a carrot. — To tame a dragon using a slice of rotten meat. 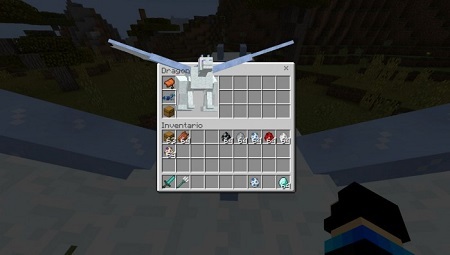 — The player can add additional slots to his inventory, all he needs is just to put his chest on the dragon and it will give him additional fifteen slots.